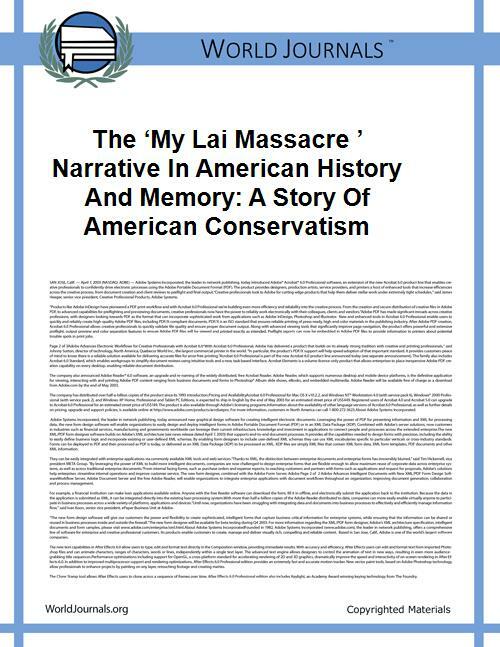 My Lai Massacre was the Vietnam War’s mass-murder by United States Army troops, occurring in Son My village (incorporating hamlets My Lai and My Khe) on March 16, 1968. The total reported casualties range from 347 according to the U.S. Army (not including My Khe killings), to more than 400 killed and unknown injuries. The Vietnamese government lists 504 killed in total from both My Lai and My Khe. Of the 26 soldiers initially charged for the incident, only Calley was convicted. He received a life sentence, but was pardoned by President Richard Nixon after serving only three years under house arrest. The incident might not have come to light if helicopter pilot Hugh Thompson didn’t break rank and report what happened to his superiors. 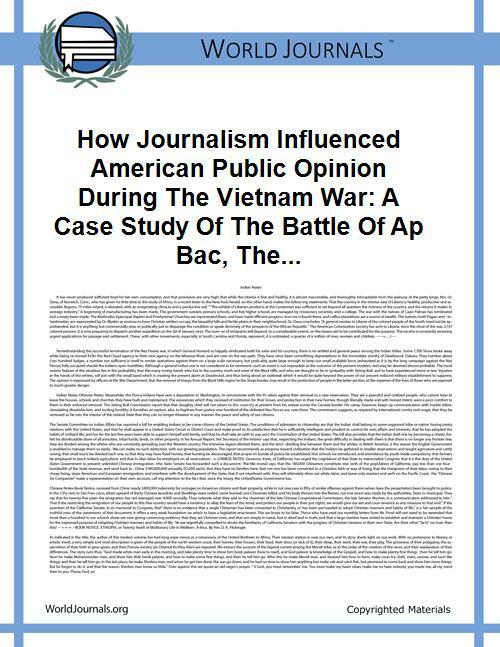 My Lai was more than just a mass killing. One of the infamous photographs known sometimes as "The Woman in Red" implies the scope of the My Lai atrocity. It shows a group of Vietnamese women and children huddling together, one in the forefront with a face of anguish, and one behind her holding a baby and buttoning up her blouse. Photographer Ronald Haeberle explained the photograph in his testimony, "[T]hey wanted to more or less see what she was made out of. 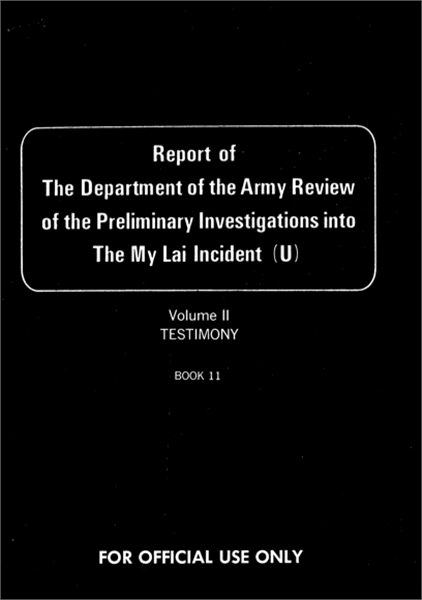 And, they started stripping her, taking her top off, and the mother, if that was her mother, was trying to protect her" (p. 17-18, The Department of the Army Review of the Preliminary Investigations into the May Lai Incident, Vol II, Book 11). Post World War II, the United States had become both a world military power and moral authority. In the wake of My Lai, its moral position was compromised. Backlash against the U.S. and its coverup of the massacre emerged from all sides. 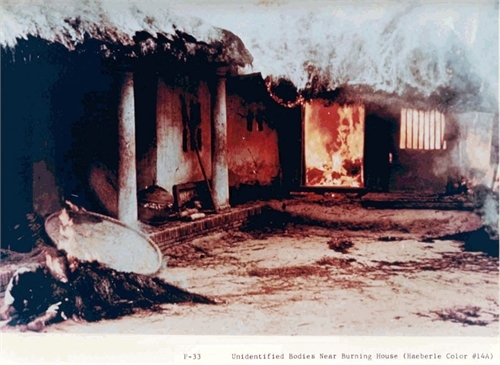 In the 1970 essay “My Lai Massacre: The Need for an International Investigation,” Kent Russell called for outside powers to investigate the U.S., arguing for the necessity of “a clearer public understanding of the true nature of American military policies in Southeast Asia” (p. 2), particularly if it would continue to uphold international laws protecting civilians. In the essay, “The Honorable Discharge: A Farewell to Responsibility for War Crimes?” Charles Boohar questioned whether the honorable discharge from service gave immunity to those guilty of war crimes.